Author(s): Stephanie Kung 1, Kirsten Moy 2, Miguel Castrence 3, Amber Meadows 1, Alexi Meltel 1, Andy Omori 1, Anne Rosinski 1, Brian Neilson 2, Stephen Ambagis [3, Michael Hamnett 1, Kristine Davidson 1. Affiliations: 1. Social Science Research Institute of the University of Hawaii at Manoa, 2. Division of Aquatic Resources of the Department of Land and Natural Resources, 3. Resource Mapping Hawaii. 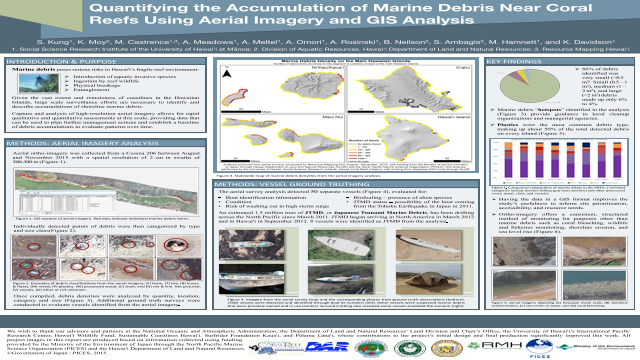 and GIS Support in the Main Hawaiian Islands."